This sweet white diaper set was hand embroidered in the Philippines. 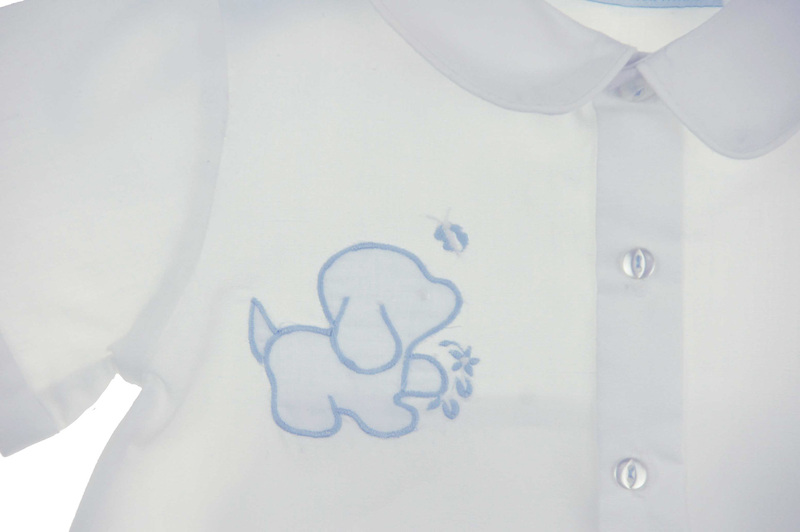 The shirt features a blue appliqued puppy on the chest. The shirt has a Peter Pan collar and short sleeve, with a front buttoned closure. The matching diaper cover has an elasticized waist and leg openings for a good fit. What a darling take home outfit for your newborn baby boy! Makes a thoughtful baby shower gift, too.